If you're familiar with onomatopoeia, you'll know that words like bang, splash, and beep all imitate the sounds they refer to. Do you think spiky sounds spikier than fluffy? If so, this could be due to a phenomenon known as sound symbolism. Sound symbolism suggests that the sounds are used in certain words because the phonemes themselves carry meaning and it there are often groups words with similar meanings, similar spelling, or letters or phonemes in common. For example, a lot of words referring to housing in English begin with the letter "h". Home, house, hut, hovel, habitat, etc. Of course, this doesn't necessarily occur in other languages. Maybe we create a word and then create similar words to describe similar things. When these groups of words with similar sounds and meanings occur, it is known as clustering. This will occur differently across different languages but related languages tend to share similar clusters. Which is kiki and which is bouba? It has also been shown that we apply certain meanings to fictional words based on how they sound. An experiment conducted in the Canary Islands (with Spanish speakers) showed participants two shapes, a jagged one and a rounded one. Participants were then asked which one was takete and baluba. The results indicated that most said that takete was jagged and baluba was rounded. When this experiment was repeated with English speakers and Tamil speakers with the words kiki and bouba, the result were pretty astonishing. 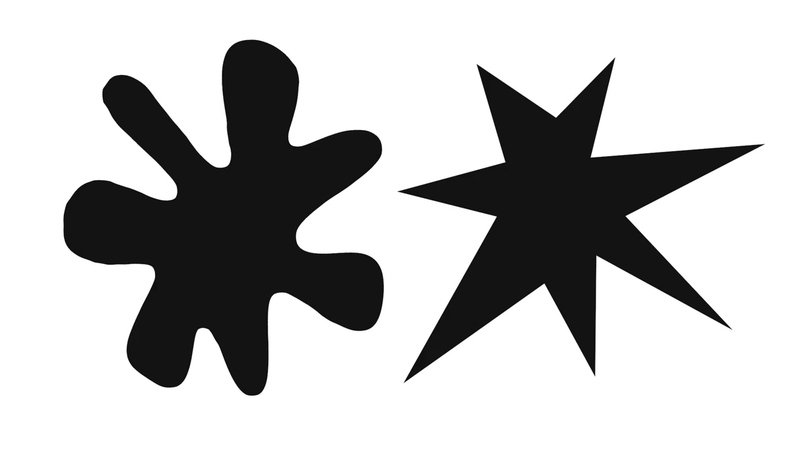 95 to 98% of participants put kiki with the jagged shape and bouba with the round one! This suggested that we don't just give words meaning then use similar sounds to describe similar things but that we create words in a non-arbitrary way based on our perceptions of sounds. This became known as the bouba/kiki effect. What do you think? Do sounds carry meaning before we create words or do we give words meaning first and then decide to use similar sounds to describe similar things? Tell us your thoughts in the comments below!